1. CP SD60 6243. 03-07-2015. Shelby. 2. Ex-Soo Line. 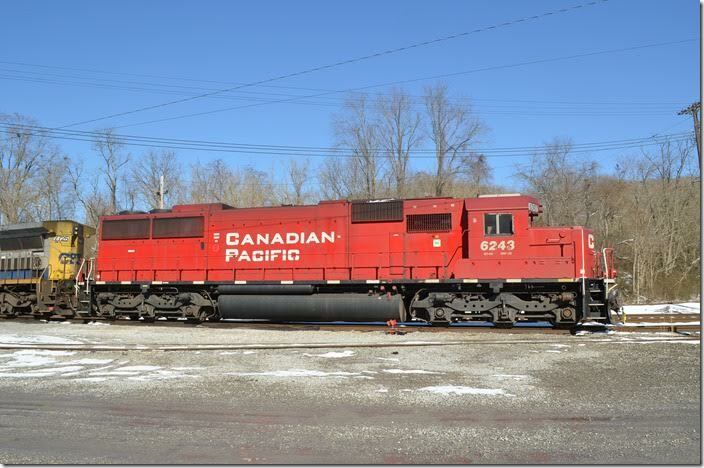 CP SD60 6243. Shelby. View 2. 3. 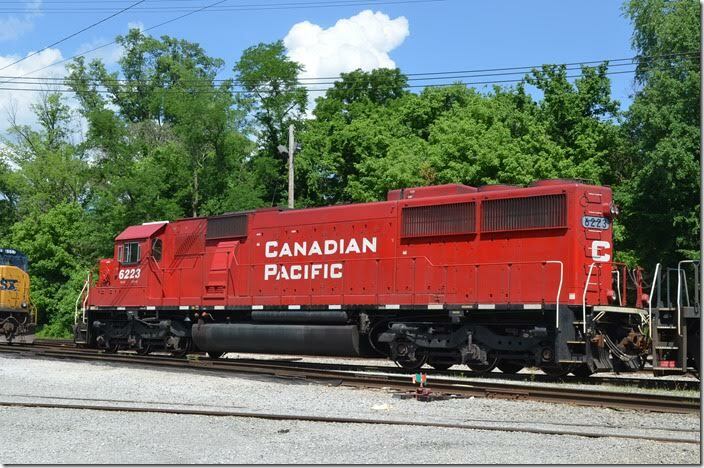 CP SD60 6243. Shelby. View 3. 4. 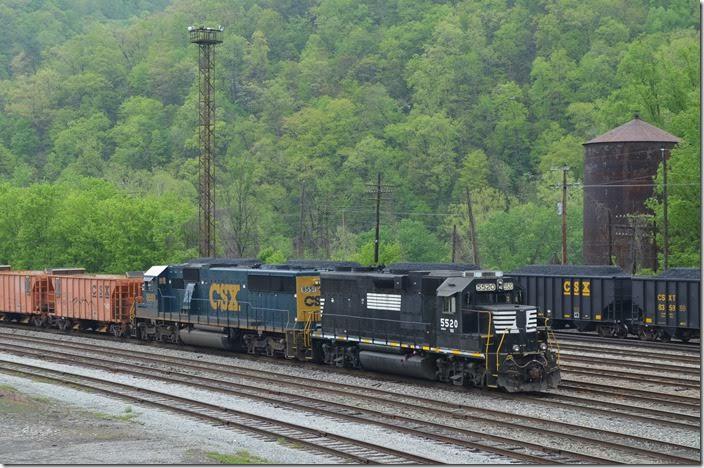 FURX 5520-CSX 8551 on empty ballast train. 04-26-2015. That water tank is the last steam-era structure left at Shelby. 5. 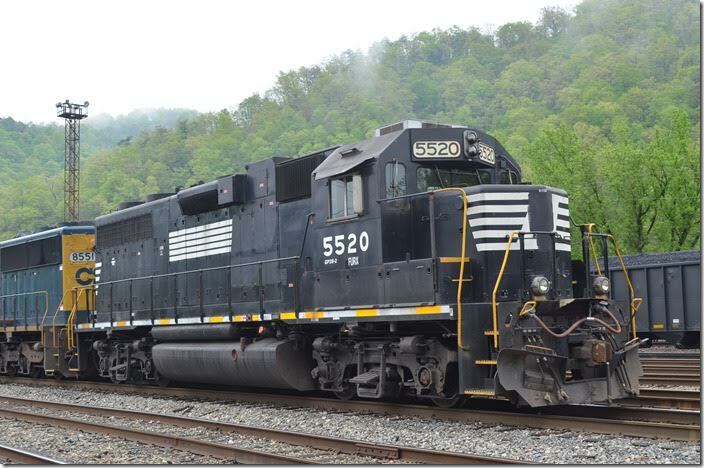 Ex-NS GP38-2 FURX 5520. Shelby. 6. 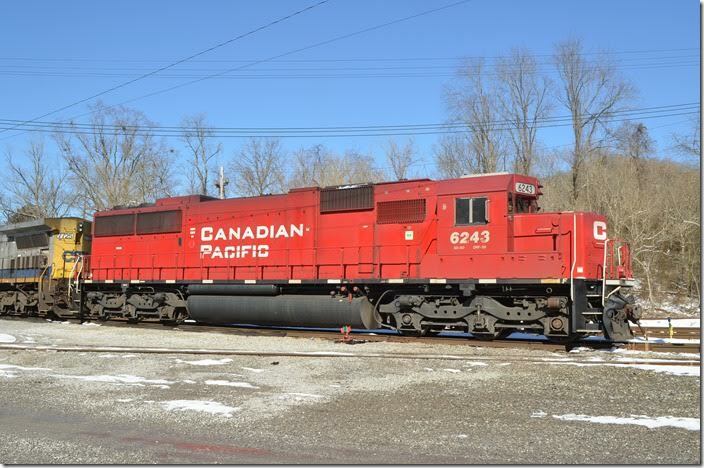 FURX GP38-2 5520. Shelby. View 2. 7. 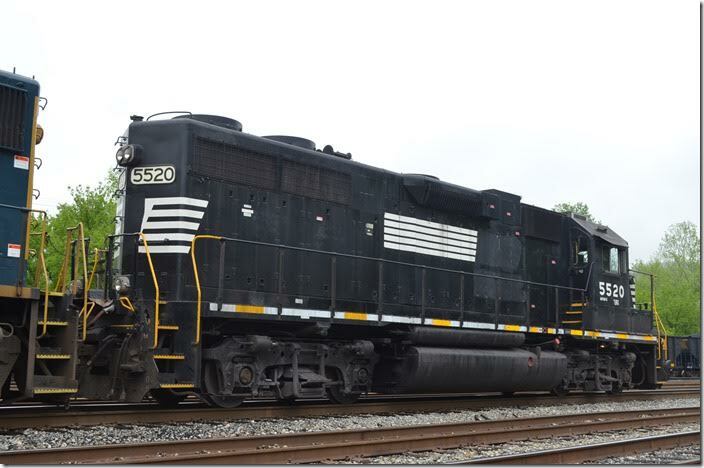 FURX GP38-2 5520. Shelby. View 3. 8. 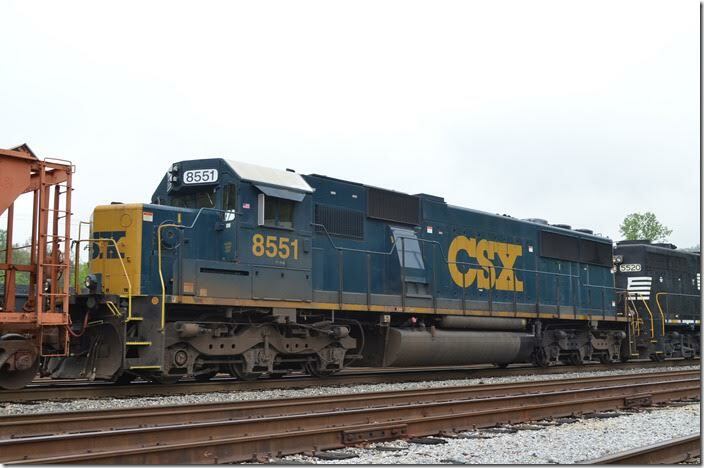 CSX “SD50-2” 8551. Ex-SBD. 04-26-2015. Shelby. 9. 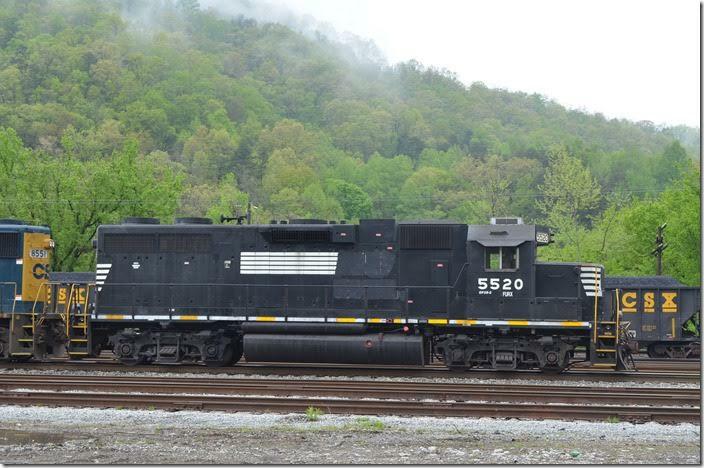 CSX SD50-2 8551. Shelby. View 2. 10. 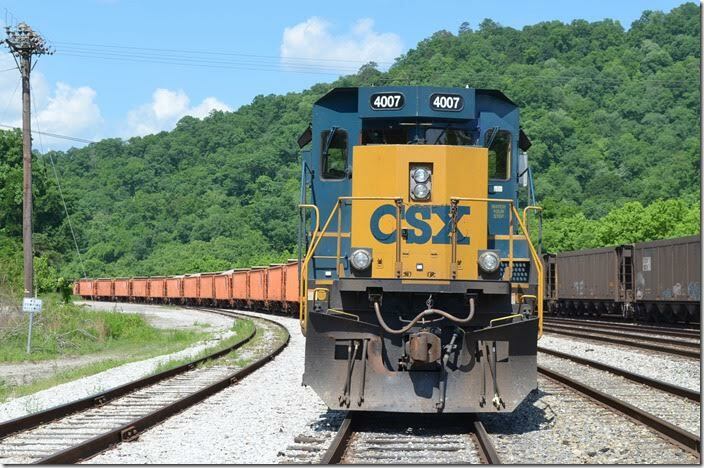 CSX 4007-8790 on ballast train. 05-30-2015. Shelby. 11. 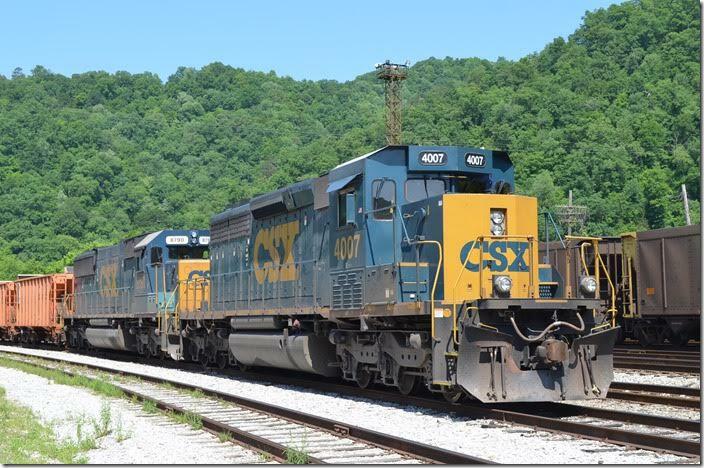 CSX SD40-3 4007. Shelby. View 2. 12. 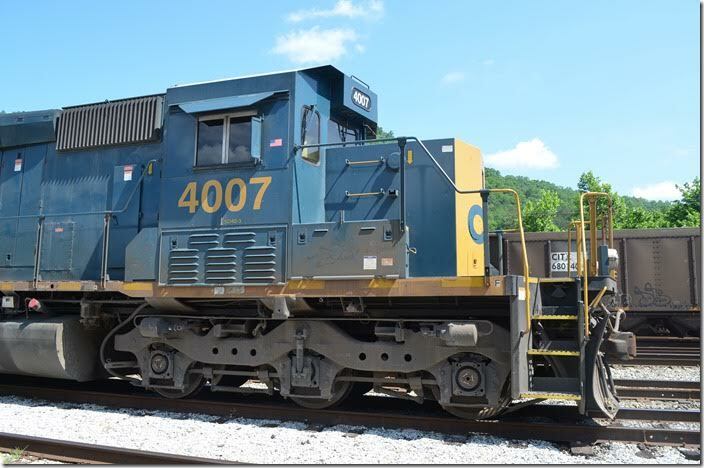 CSX “SD40-3” 4007. Shelby. View3. 13. 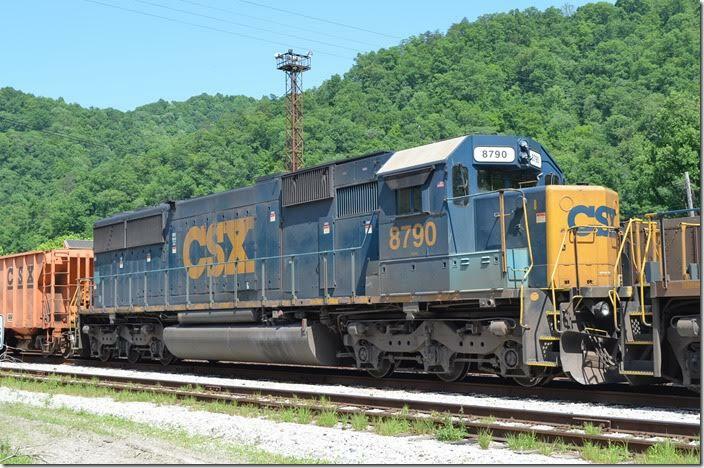 CSX SD60 8790. 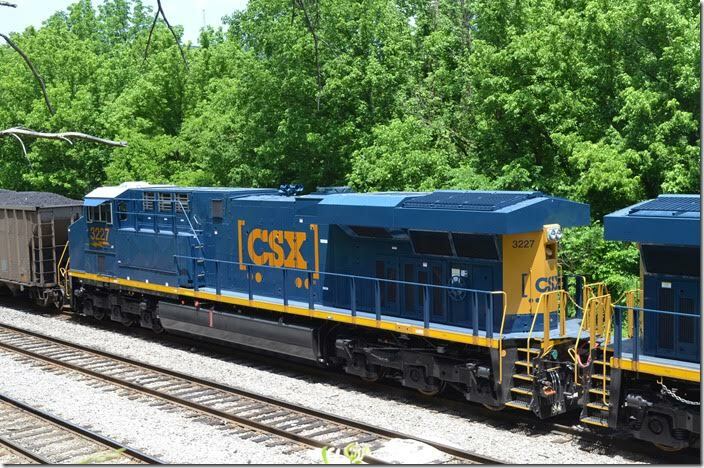 Ex-NS, Exx-Conrail, nee EMD demo 1. The first SD60 built (05-1984). Shelby. 14. 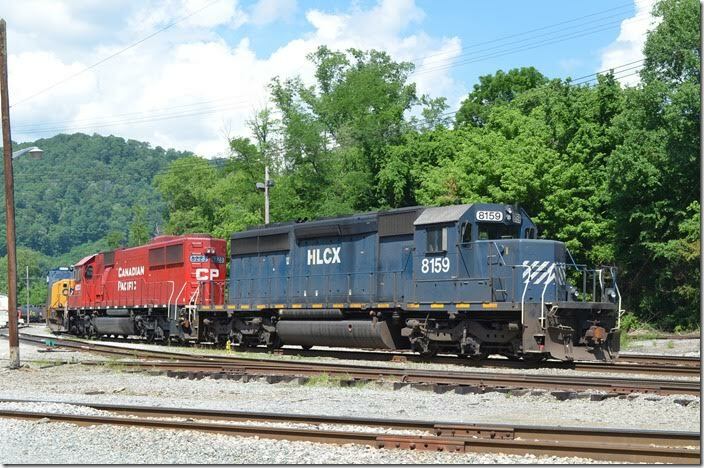 HLCX SD40-2 8159-CP 6223. 05-30-2015. Shelby. 15. 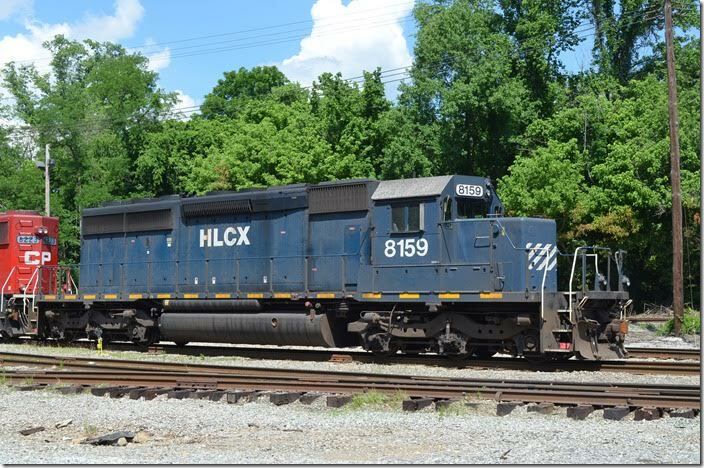 HCLX, Ex-BN, SD40-2 8159. Shelby. View 2. 16. 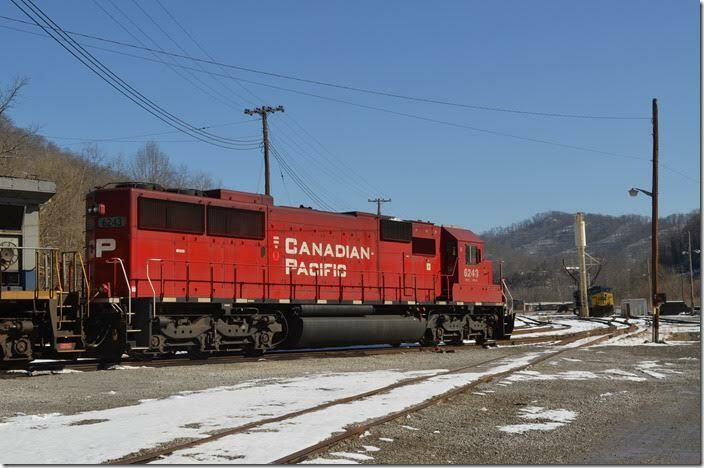 CP, ex-Soo, SD60 6223. Shelby. 17. 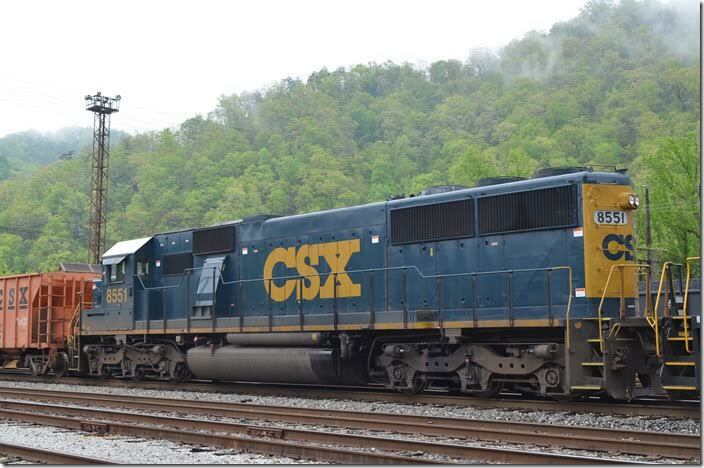 CSX new ES44ACs 3228-3227 waiting on a crew at the east end of Shelby. 05-30-2015. 18. 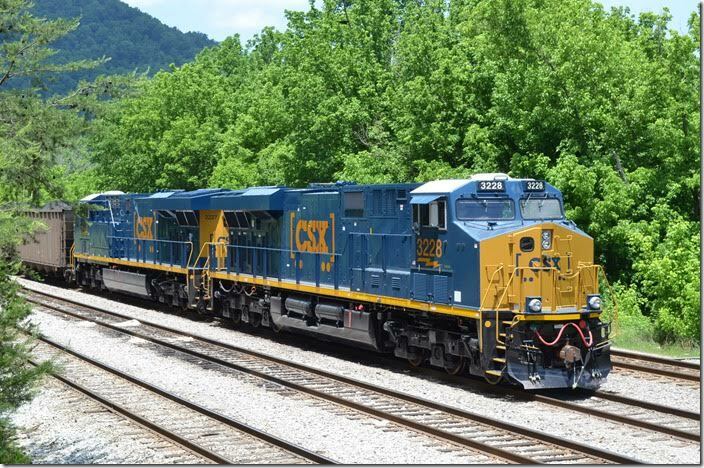 CSX ES44AC 3228-3227. Shelby. View 2. 19. 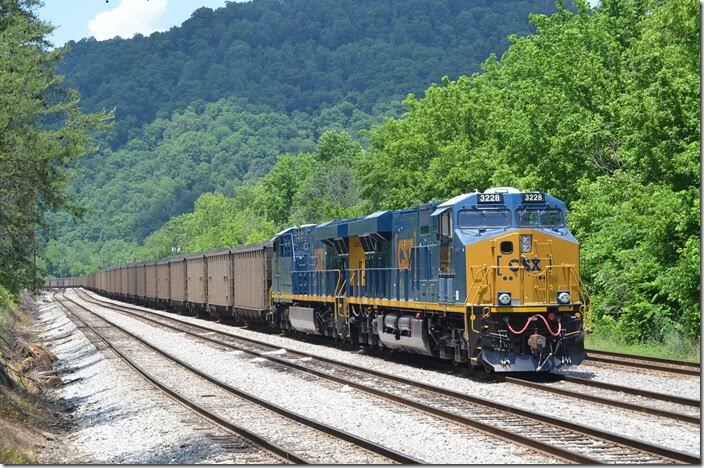 CSX ES44AC 3227. Shelby. View 3.